ZVEZDA television journalists were detained in the city if Dnepropetrovsk on June 14, the channel reported on Sunday. The reporter Evgeny Davydov and the sound engineer Nikita Konashenkov were in the official trip, they had with them all the necessary documents and tickets back to Moscow. The 14th of June was the last day of their trip. When they were driving to the airport of Dnepropetrovsk (for further departure to Moscow) they were detained at the National Guard checkpoint near the village of Pokrovsky. After that they were moved to Dnepropetrovsk, to the Komsomolskaya street, where now they are holding by the Security Service of Ukraine. 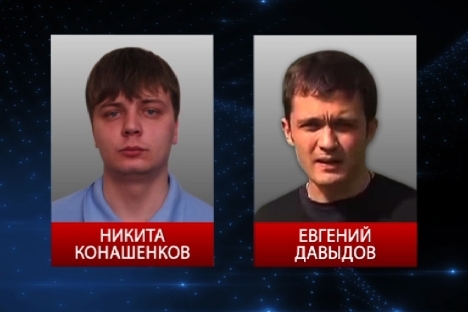 The management of the Russian State TV-Channel "ZVEZDA" addressed to the president of Ukraine Petro Poroshenko to release Eugene Davydov and Nikita Koshenkov and ensure their safety.